Breckenridge police chief Dennis McLaughlin submitted his resignation last week, citing family medical reasons. Breckenridge police chief Dennis McLaughlin has resigned less than a year and a half after being promoted to the position. In his resignation letter, McLaughlin said he was leaving the post to care for a family member. He wrote that he was grateful for the chance to have served Breckenridge and thanked the town for the opportunity. The top of the letter is dated Aug. 4, but it says the resignation was effective Aug. 23. Under Colorado law, resignation letters do not become final until one week later. McLaughlin did not return a phone call requesting comment but said in a text that the resignation letter, which he provided, is all the information he can offer on the subject. 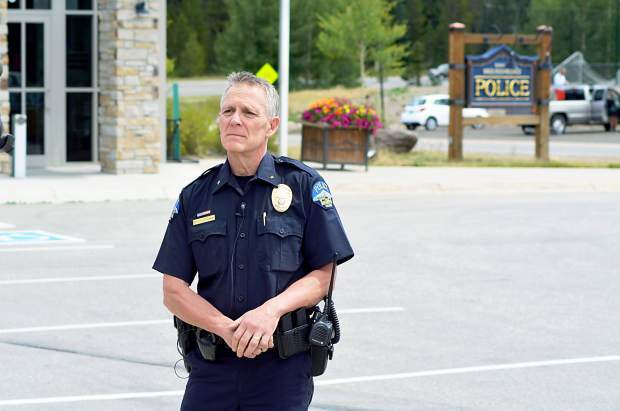 Breckenridge town manager and former police chief Rick Holman has declined to comment on McLaughlin’s departure, saying he was not at liberty to discuss personnel matters. On Thursday afternoon, the town had not yet responded to an open records request seeking the terms of McLaughlin’s resignation, including whether or not he is receiving severance pay. The Colorado Open Records Act provides three days to comply with the request, which was submitted on Wednesday. Holman said on Thursday that the request still needed to be cleared by the town’s legal staff. Breckenridge hired McLaughlin as assistant police chief in October 2014. He was promoted in April 2016, replacing former police chief Shannon Haynes, who is now Breckenridge’s assistant town manager. Before coming to Breckenridge, McLaughlin was an officer at the Plano, Texas, police department, where he served for 14 years, according to his LinkedIn profile. Before that, he served in the Lakewood Police Department for seven years. Assistant police chief Nicola Erb will be running the Breckenridge Police Department while the town searches for McLaughlin’s replacement.